When you find a ladybug, Do you make a wish? 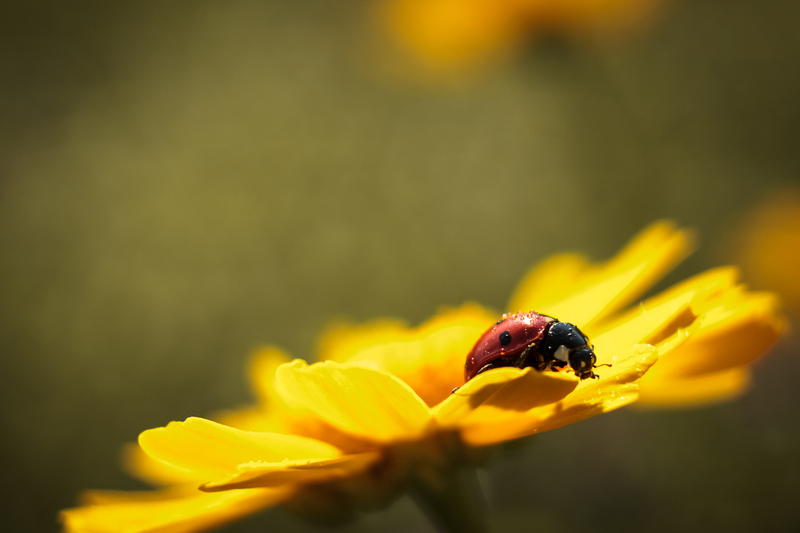 Ladybugs are lucky for us – and our gardens too. Ladybugs play an important role in protecting our garden crops with their natural pest control, as ladybugs have an appetite for plant-eating insects, making them a valuable ally in our fight against aphides. Ladybugs are beetles, classified by their hard shell-like casing which covers their body and a set of delicate wings. So how did ladybugs get their name? The ladybug is named after the Virgin Mary who is often shown in biblical paintings wearing a red coat. Hundreds of years ago, farmers in Europe prayed to God and the Virgin Mary to save their crops from pests, and in return the Virgin Mary sent a swarm of beetles with her red colours – ladybugs! Red ladybugs are iconic, but there are over 500 varieties of ladybugs with red, yellow, orange or black colours, with spots or splotches. While they don’t all eat aphids… many do. 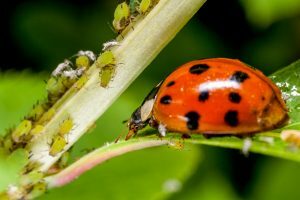 Ladybugs and the use of natural pest control methods are important for sustainable food production. Evidence shows pesticides (including insecticides) have a range of impacts on humans from the direct effect on those eating chemical laden foods, to the effects on gardeners and local communities. Pesticide exposure has been connected with solid tumours, cancers, mental and emotional functioning, the nervous system, and the reproductive system. Studies show eating a diet of organic foods compared to conventional foods improves men’s sperm quality. Pesticides also negatively impact our ecosystems, especially in the health of soils. They have even spread throughout our ecosystem to be in rain water too! Therefore, pesticides are unsustainable for human health, the environment and controlling pests in food production. We must return to sustainable ways of growing food, from the large scale – down to the small scale at home. Just as past European farmers did! 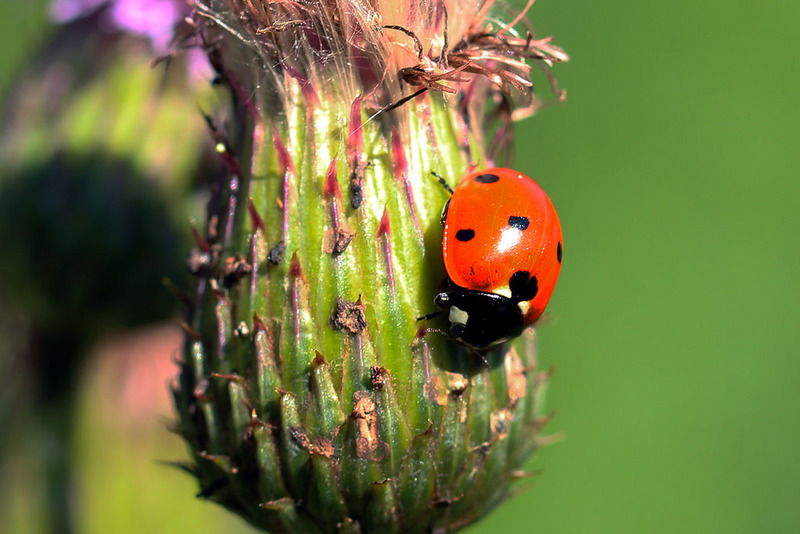 We can attract Ladybugs into our garden in many ways. Number 2. Make sure ladybugs have enough bugs to eat! While it may seem counter productive, leaving aphids and other pests alone will actually attract ladybugs! Number 4. Place shallow plates of water around your garden for ladybugs to drink. Number 5. Construct little shelters amongst your plants for ladybugs to have a home when they move in! Number 6. 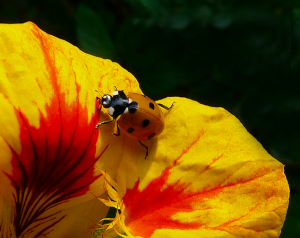 Stop using insecticides, which kill ladybugs and other helpful garden bugs & beetles, just as they do harmful bugs. So before bringing out any pesticides to spray on your plants, maybe invite over some ladybugs to join in your garden feast! People always seem to jump to the unnatural solutions, eg. pesticides for the environment first. It’s great you emphasise taking a step back and looking ones nature gave us first. I love ladybugs, and whenever I find them in my house I put them outside on our Roses so they can feast on the aphids!